Last December I travelled to Iceland and it was all kinds of magical! In true form, Iceland lived up to its name – freezing cold to the point of numbness. But of course the amazing glaciers, landscapes, houses, culture, lights and an unbeatable vibe meant it was worth every degree of minus Celsius. The truth is Hesper Farm sparked my love for Skyr, because just before I travelled to Iceland, I met Sam Moorhouse of Hesper Farm. A young entrepreneur who was very much at the start of his journey. Ever since that day, I’ve had a soft spot for Hesper Farm Skyr – because not only is it low in fat, but so tasty and authentic to the real thing. Every time I eat Skyr I am instantly transported back to Iceland – I can feel a shiver down my spine and I can feel the buzz and magic of Reykjavik. I love how food and travel can come together and ultimately bring around amazing memories and something completely new. 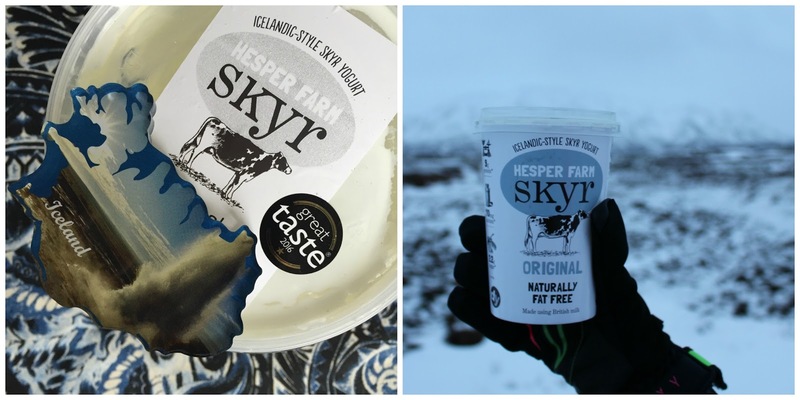 If you love Skyr as much as me, Hesper Farm can be found here.